To flavor their own things is neither difficult nor time consuming. You know what you get without a lot of chemicals or artificial substances. Since I love Tonka beans, so it’s fun to be able to just simply use a little with the help of sugar. Perfect for instance when making frostings and cup cakes. You also make your own vanilla sugar in the same way. 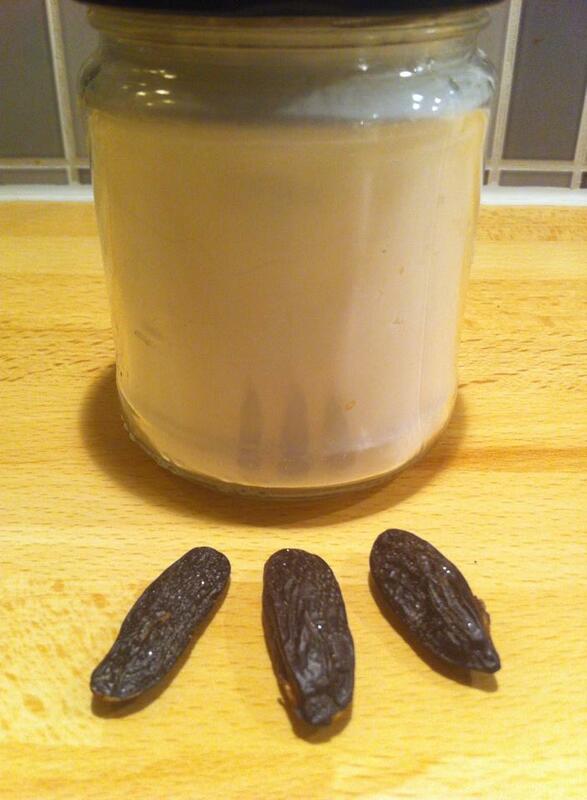 1 shared Tonka bean share on 4 bits. Beating the sugar in a glass jar. Add to Tonka and close the lid. Shake. Let stand for 7-10 days. Then you have a sugar that has taken for himself by Tonka bean’s wonderful flavor. Soon it’s time for the contest here on the blog. Do not forget to spread it that it will come soon. The more people who know about it, more fun it will be.